For some reason, I have found myself recommending the same three books over and over the past couple weeks. So before anyone else asks, here are those three books. Why We Buy by Paco Underhill - Buy this book if you want to be better at merchandising your store. Buy this book if you want to think about merchandising and traffic patterns and aisle widths and aisle lengths and sight lines in a whole new light. Buy this book if you want to read fascinating case studies about retail successes and failures at merchandising. Buy this book if you have any plans at all to change the layout or design of your store. Drive by Daniel H. Pink - Buy this book if you want to understand how people are motivated to do their best work. 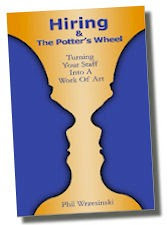 Buy this book if you want to find different ways other than money to reward your staff. Buy this book if you want to find ways to make your trainings stick better. Buy this book if you want your staff to work harder. Pendulum by Michael R Drew and Roy H Williams - Buy this book if you think the world has changed dramatically over the past ten years. Buy this book if you want to see what the next thirty years will look like. Buy this book if you want to know why your advertising that worked in the past isn't working today. Buy this book if you want to see how society changes every 40 years from one extreme to another and how to navigate each of these extremes. It will be the best reading you do all year. PS I purposefully did NOT include links to any of these books. Print out this list (or keep it on your phone) and walk into your local bookstore (if you still have one). Order these books through the local store. While you are there, browse the business section for one more book that catches your eye. Then buy one more book, just for fun. You are as good as you read.